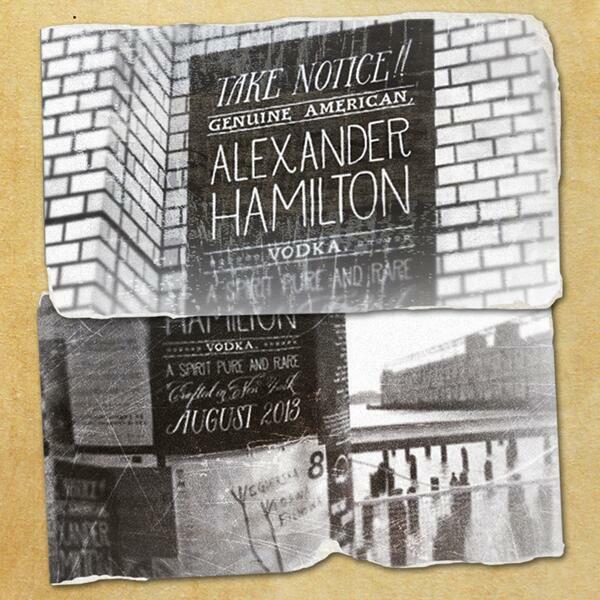 March 2014 – It's Hamiltime! 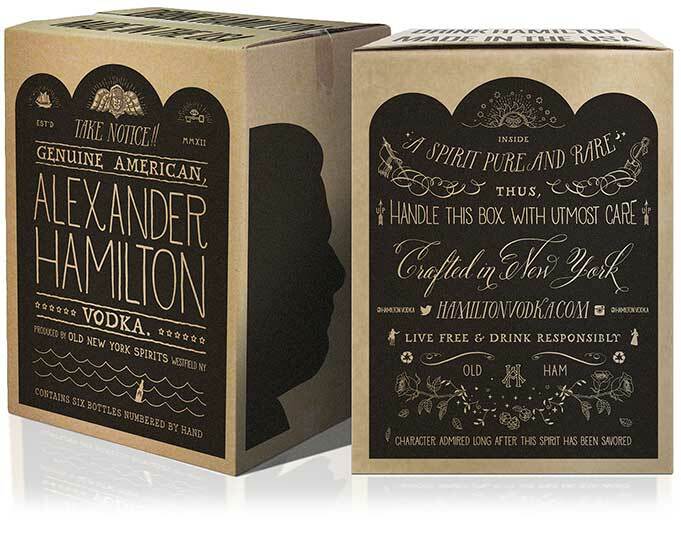 Old New York Spirits has just introduced Alexander Hamilton Vodka, which it bills as “a spirit pure and rare.” The vodka is distilled from potatoes and is handcrafted in New York. The brand has Twitter and Instagram accounts, and tweeted this announcement picture in July 2013. If any one has tried this or seen it in stores, let me know!